"Hegemony" is something I define to my high school history students as "control not through coercion, but consent." If you fool people into desiring certain things, into believing that they actually made a choice about their present situation within a system of choices, people generally tend to accept their fate, their social position. That's why Chomsky talks about the need to "manufacture consent" in liberal democracies; indeed, he says, it is within such systems that it is so difficult to resist and challenge the power structure. The media sets the terms of the debate, people protest through socially acceptable channels, voters decide between two candidates from two political parties that are essentially the same, and the show just goes on. So, as the Oracle says in the secondMatrix film, everything is about choice. 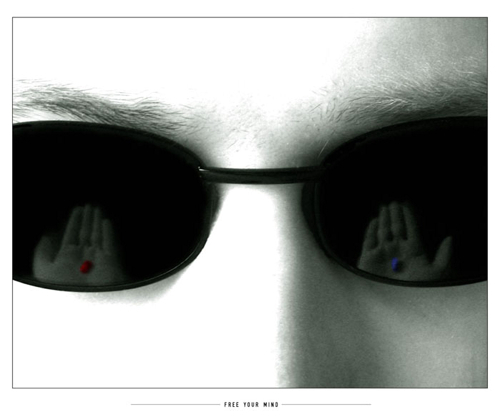 This is obvious from even the first film, when Neo is given the blue and red pills with which to make the symbolic choice to wake himself up from the Matrix – you have to choose to see the light; it can't be simply shown to you. Schmid, A. (2002). Korea between empires, 1895-1919. New York, Columbia University Press. Shin, G.-W. (2006). Ethnic nationalism in Korea : genealogy, politics, and legacy. Stanford, Calif., Stanford University Press.